Did you work in Hollywood or London during the years of the golden age? If you were the leading man or leading lady in any U.S. or British film released between January 1, 1930 and December 31, 1959-- you will find yourself present and accounted for on this thread. Big budget, low budget, major studio, poverty row. Maybe you had more than one stage name. Maybe you only made one film, or perhaps you starred in almost 200 motion pictures. So what if you married the boss, and so what if you might have been blacklisted. It doesn't matter if you died before the age of 30 or lived to be nearly a hundred. Humans, dogs, horses, robots, animated characters. All golden age talent is present and accounted for, right here. I will be featuring one leading man or one leading lady each weekday, and two a day (usually famous duos) on the weekends. There are 1300 performers I want to spotlight. At ten per week, it should take me 130 weeks, or approximately two and a half years. I think it will be fun..! 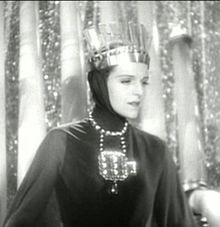 I am kicking things off with an actress who only made one feature film-- in 1935. 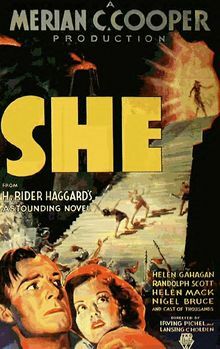 It's a cult classic called SHE, produced by RKO. 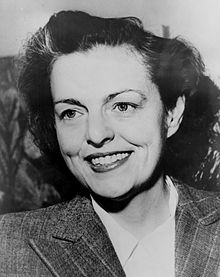 Helen Gahagan became more known for her political life (serving as a Congresswoman from 1945 to 1951) but she retained a place in Hollywood as the wife of actor Melvyn Douglas. Helen Gahagan present and accounted for...! Whoa! Two and a half years? This project will take longer than it took James Joyce to write "Ulysses". And it almost took me that long to read it. But I admire your ambition, TB. Thanks. I've been wanting to do this project for some time. Something comprehensive. 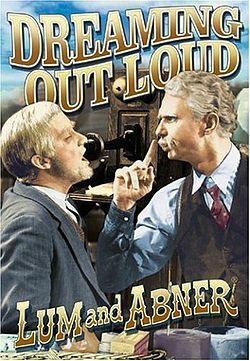 Lum and Abner were a popular hillbilly duo on radio for over twenty years. Played by Chester Lauck and Norris Goff for the entire run, they were at the height of their popularity in the 1940s. Like other hit radio acts, they had the chance to bring their brand of entertainment to Hollywood when they were signed by RKO. 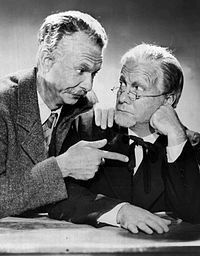 From 1940 to 1946, they made six comedy features with costars that included Frances Langford, Bobs Watson, ZaSu Pitts, Franklin Pangborn and Alan Mowbray. Lum and Abner present and accounted for...! Called by California U.S. Congress opponent Richard Nixon (he beat her) the "pink lady". He was smearing her as a Communist. Right-- and given all the cold war hysteria of the time, Nixon succeeded in tarnishing her reputation. I believe he unseated her and won the election...yes? Yes, and the rest is history. Helen Gahagan and Melvyn Douglas remained married until her death in 1980..it was one of Hollywood's longer marriages. 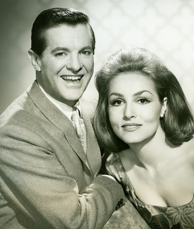 Saturday November 7th: two popular performers who made hit films before they became Perry Mason and Della Street. Sunday November 8th: two stars who made early talkie musicals with Ernst Lubitsch. Monday November 9th: a gifted actress who made four hit films with James Stewart. Tuesday November 10th: A Frenchman who felt Ginger Rogers' HEARTBEAT. Wednesday November 11th: Veterans Day with a decorated war hero turned movie star. Thursday November 12th: a renowned mezzo-soprano who made five films for Paramount in the 1930s. Friday November 13th: Universal's popular teen duo of the 1940s. 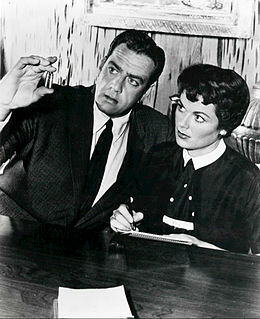 Raymond Burr and Barbara Hale had both enjoyed successful film careers before they began their long television run as Perry Mason and Della Street. 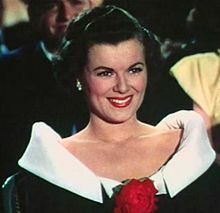 Burr usually played heavies in films like PITFALL and REAR WINDOW, and Hale was groomed by RKO as a leading lady whose versatility made her a good casting choice for westerns, noir and romantic comedies. At RKO, Hale met and married fellow contract star Bill Williams, and the union lasted 46 years. By the time 1957 rolled around, Hale's movie career was waning and Burr had yet to find the type of starring role that had so far eluded him. 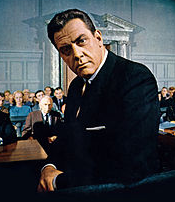 Their respective fortunes changed when they were cast in the television version of Perry Mason. The show lasted nine years and then two decades later it spawned a series of 30 TV movies, some of them featuring Hale's real-life son. Because of this association, the two became life-long friends and household names beloved by millions of fans worldwide. Raymond Burr and Barbara Hale present and accounted for...! 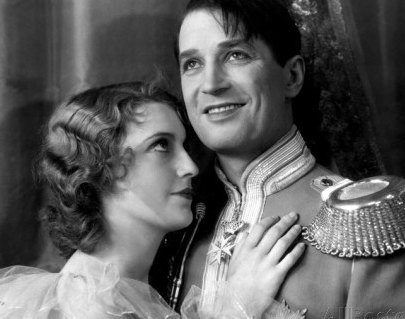 Jeanette MacDonald and Maurice Chevalier helped usher in the talkies with a series of delightful musical comedies that made them immensely popular with audiences. Together, the duo made six films between 1929 and 1934 (two of them were French 'remakes' of their English-version hits)...and all but one of these were directed by Ernst Lubitsch. In the mid-1930s, both moved from their first studio, Paramount, to MGM. But in 1935, Chevalier decided to return to his native Paris (he would not make another Hollywood film for over two decades). When MGM paired MacDonald with Nelson Eddy, her motion picture career experienced a second wind. Jeanette MacDonald and Maurice Chevalier present and accounted for...! 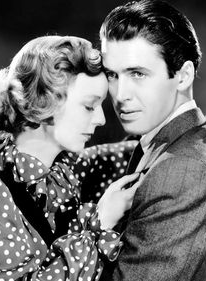 Margaret Sullavan may well be remembered most for the four films she made with James Stewart in the late 1930s and early 1940s (one of them at Universal, the other three produced by MGM). And though she only appeared in 16 features, she made a lasting mark in the world of classic film. Her legacy is best represented by her charming performance with Stewart in Ernst Lubitsch's perennial favorite THE SHOP AROUND THE CORNER. It has been remade several times, but no other actress captures the spirit of the story's headstrong but vulnerable young woman like she does. Another great Margaret Sullavan film performance is the one she gives in the sobering adaptation of Erich Remarque's THREE COMRADES. Acting opposite Robert Taylor, Franchot Tone and Robert Young-- Sullavan received an Oscar nomination and was hailed as the year's best actress by the New York Film Critics Circle. 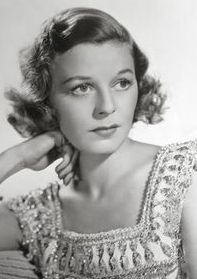 Margaret Sullavan present and accounted for...! Jean Pierre Aumont began his film career in 1931 in France. He was from a performance-minded family (his uncle was a successful stage actor, his mother had studied drama and his brother became a fairly well-known director). Aumont's career was temporarily halted by the Second World War. He went to the United States to get away from the Nazis (his family was Jewish) and was eventually signed by MGM in the early 40s. At his new studio, he made two war films-- ASSIGNMENT IN BRITTANY and CROSS OF LORRAINE, then he went off to fight with the Allies in Africa and Europe. After the war, he quickly resumed his motion picture career and had one of his best roles in Hollywood. 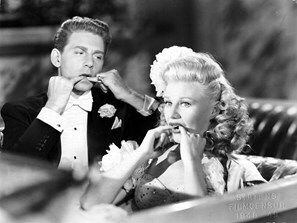 It was opposite Ginger Rogers in RKO's remake of the French comedy BATTEMENT DE COEUR, which had been a hit for Danielle Darrieux. While working in American films, Aumont met and married actress Maria Montez, with whom he made one adventure film. After Montez' unexpected death, he wound up back in his native France. 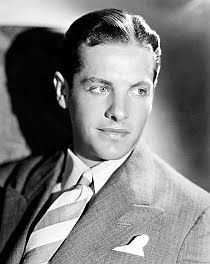 He would spend the remainder of his career making French films and taking the occasional Hollywood role (often for MGM). Jean Pierre Aumont present and accounted for...! 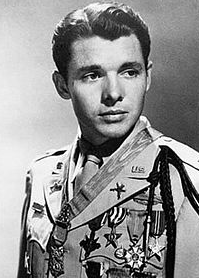 Audie Murphy was the most decorated U.S. soldier during the Second World War. He wound up on the cover of Life magazine in July 1945 as the war was ending. Actor James Cagney decided to bring him to Hollywood. 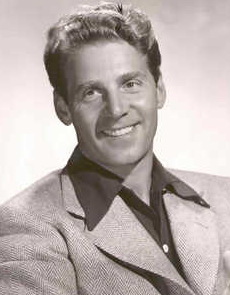 There were some bit parts, though Audie's first major role (a starring one) would not occur until 1949. By then he had been trained in Shakespeare, dancing and on-screen kissing. It wasn't until he signed with Universal in 1950 that Audie's full-fledged movie star days began. He would go on to make 40 pictures and one television series, until 1969. Perhaps his two most iconic roles occurred in war films-- as a youth in John Huston's adaptation of THE RED BADGE OF COURAGE; and as himself in Universal's version of his autobiography TO HELL AND BACK. Audie Murphy present and accounted for...! 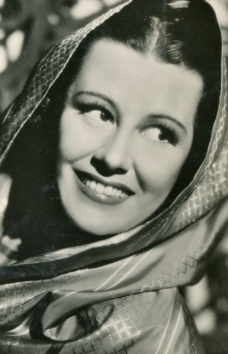 Gladys Swarthout was Paramount's attempt to build a hit motion picture career around a well-known opera singer. But she was more than that, she was a very accomplished mezzo-soprano who successfully performed dozens of operatic roles, gave hundreds of concerts around the world and delighted audiences not only with the five films she made in the late 1930s but also on countless radio programs and television shows. In two of her musical pictures, she is paired with John Boles, and in a charming musical comedy she gets to play opposite Fred MacMurray (CHAMPAGNE WALTZ). Another studio production teamed her with Polish singer Jan Kiepura, and in her last movie, Paramount assigned her an early noir, which was meant to show she could play a dramatic part without singing one note. But music and those grand European concert halls were beckoning...so after her contract with Paramount ended, she was back on tour playing in front of live audiences which she continued to do until the mid-1960s. Gladys Swarthout present and accounted for...! 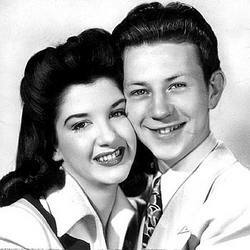 Peggy Ryan and Donald O'Connor were a very popular teen duo at Universal in the 1940s. 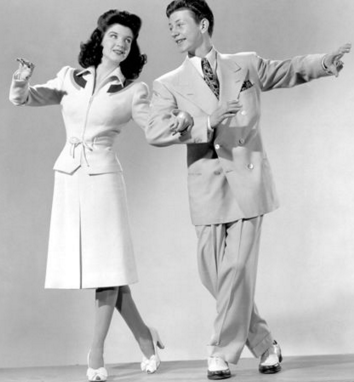 Peggy's first Universal film occurred back in 1937, when she was 'discovered' by George Murphy. She continued to work her way to stardom (she had been singing and dancing since age two in her parents' Vaudeville act). The magic formula was found when she was paired with O'Connor. 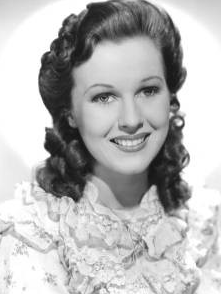 At first, they were used to support Gloria Jean in her movies, but soon they were spun off into their own series designed to appeal to young war-time audiences. Altogether, they made 13 pictures at Universal including CHIP OFF THE OLD BLOCK and PATRICK THE GREAT. Peggy Ryan and Donald O'Connor present and accounted for...! Saturday November 14th: a husband-and-wife team who moved their popular act from radio to television with their two sons. The whole family made films in the golden age of Hollywood. Sunday November 15th: two canine stars, immensely popular with audiences in the 1940s. Monday November 16th: I'm kicking off a special series. I will start with an actor who worked for Alfred Hitchcock twice before transitioning to television. Tuesday November 17th: The next one on my list is a young star of the 1950s, under contract at Columbia. He appeared in just four films before he was killed in a plane crash. 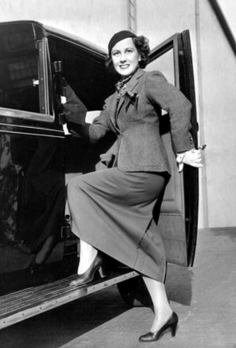 Wednesday November 18th: a leading actress who made a series of hit movies at Republic in the 1940s. Thursday November 19th: a British star who first came to the attention of American audiences playing Norma Shearer's husband in MARIE ANTOINETTE. Friday November 20th: I wrap the series up with a couple who were movie stars before they 'knew best' on TV. Harriet Hilliard and Ozzie Nelson were musicians on the road to Hollywood in the early 1930s. By the middle of the decade, Harriet had signed at RKO and was being featured in second leads usually in musicals. She's fourth-billed in FOLLOW THE FLEET. By the early 1940s, Harriet was freelancing and Ozzie was appearing with his band in programmers like Columbia's SWEETHEARTS OF THE CAMPUS with Ruby Keeler (Harriet was also featured). But it was clear the couple's best chances at success were in radio. For several years they had appeared on Red Skelton's weekly show, but when Red was drafted in 1944, the Nelsons were spun off on to their own weekly show, which would still contain musical elements but focus more on the comedic aspects of raising a family. 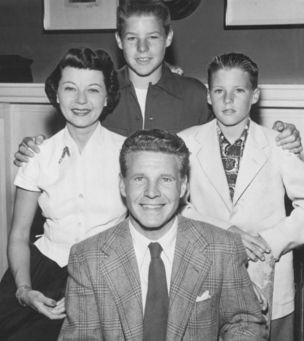 In the beginning, while the stories were often based on real-life occurrences in the Nelson family, their sons David and Ricky were played by radio actors. In 1949, the boys were old enough to take over playing themselves and their own entertainment careers began. The radio show transitioned to television in 1952 (for a few years there was a weekly radio and weekly television version of the same episodes). 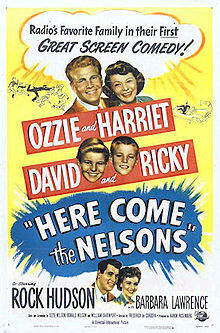 In order to promote the Nelsons' arrival on TV, there was a Universal motion picture called HERE COME THE NELSONS. 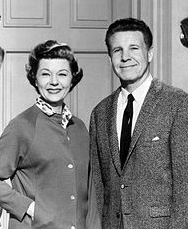 The television sitcom ran for 14 years and over 400 episodes were produced, many of the later installments featuring the real-life wives of David and Rick. At that point, the boys had become young men starting families of their own. Harriet Hilliard and Ozzie Nelson present and accounted for...! 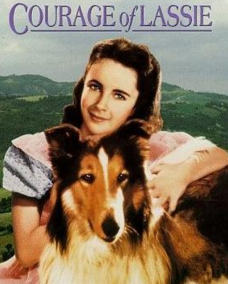 Lassie and Rusty were probably the two most famous dogs in America in the 1940s, at least on movie screens. The collie that portrayed Lassie was named Pal, and he appeared in eight MGM productions that were released between 1943 and 1951. Pal's descendants took over for the long-running television series that followed. Pal was born in 1940 and died in 1958. Usually Pal appeared as Lassie but sometimes Lassie was playing a different character. Does that make sense? For example, Lassie is Duke in THE COURAGE OF LASSIE and Shep in THE PAINTED HILLS. But perhaps more interesting is the fact that Pal was a male, and Lassie was supposed to be a female. 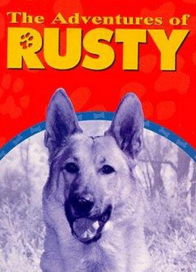 Meanwhile, Rusty was a German Shepherd played by a canine star named Flame. Flame had quite an extensive movie career. 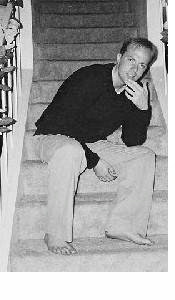 In addition to playing Rusty in several Columbia films with Ted Donaldson, Flame also played a character named Shep in two low-budget offerings called MY DOG SHEP and SHEP COMES HOME. Plus Flame played himself in a few Eagle-Lion productions, one was a comedy with George Brent and Carole Landis. And then there was a series of short films at RKO where Flame played a dog named Pal (sound familiar?) and was billed as Flame the Wonder Dog. After his movie career ended, Flame appeared in a few television shows. One of Flame's sons went on to play a new version of Rin Tin Tin. Lassie and Rusty present and accounted for...! Robert Cummings had his first credited movie role at Paramount in 1935. He had been acting professionally since 1931 and had used several stage names during those early years. In Paramount films, he quickly found his niche in romantic comedies, though he could be counted on to turn in dependable dramatic performances in other genres when the occasion called for it. By 1939, he was a household name thanks to his leading role in the Deanna Durbin vehicle THREE SMART GIRLS GROW UP. 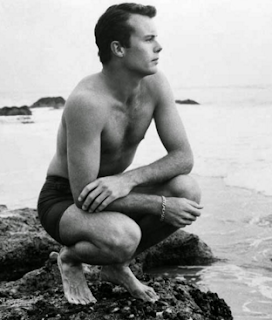 He had his choice of plum roles for the next decade, including leads in two Warner Brothers productions-- KINGS ROW with Ronald Reagan and PRINCESS O'ROURKE opposite Olivia de Havilland. He also headlined the smash hit YOU CAME ALONG back at home studio Paramount where he was teamed with Lizabeth Scott in her first film. In that particular offering, Cummings portrayed a character that would later serve as the basis for his popular TV sitcom role in the 1950s. And though he continued to make hit films until the mid-60s, it was television where he found his greatest success. He is rightfully remembered for starring roles in several sitcoms, including the cult classic My Living Doll with Julie Newmar. Bob Cummings present and accounted for...! 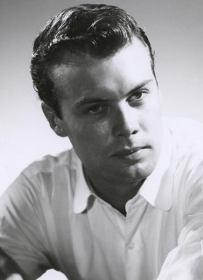 Robert Francis had a short career as a leading man in Hollywood, but it was not because he lacked talent. Quite the contrary. In fact, when Columbia had signed him to a contract, he was immediately handed a key supporting role in THE CAINE MUTINY. This showed the studio was grooming him for big things. 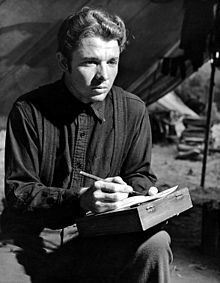 He then was assigned to do two modestly budgeted programmers in a starring capacity, one was a western with Donna Reed, and the other was a war drama that took place in a Korean POW camp. Those films did well with audiences, and soon he was given another plum role, this time in John Ford's THE LONG GRAY LINE. But all the promise that he had shown was lost forever...he was killed instantly when a plane he was piloting in the summer of 1955 crashed. We will never know just how great the rest of his screen career might have been. Robert Francis present and accounted for...! Lynne Roberts had a stage mother and as a young girl, she was pushed towards stardom. She started in Hollywood doing serials at Republic in 1937, when she was only 14. The publicity department added three years to her age, so at 17 she could be seen as leading lady material. There were occasional loan outs and for a while she had a name change ("Mary Hart") and switched over to 20th Century Fox. However, she was soon back at Republic, where she felt most at home. Until 1948, boss Herbert Yates paired her with most of the studio's leading men, especially his western stars. But Lynne's pleasant personality and good looks made her a natural fit for almost any genre. After her days at Republic ended, she moved over to Columbia with frequent costar Gene Autry and then freelanced. She still had starring roles in the early 50s. Her last movie lead was in RKO's pirate story PORT SINISTER in 1953. She had been headlining movies for 16 years and was only 30 at the time-- but like most actresses, she began to transition to television. Lynne Roberts present and accounted for...! Robert Morley came to the attention of American audiences with his portrayal of the somewhat strange but lovable King Louis XVI. 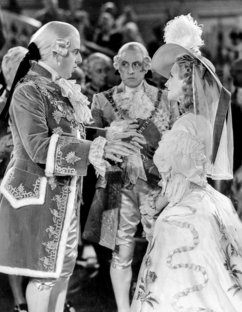 His performance in MGM's lavish version of MARIE ANTOINETTE earned him an Oscar nomination in 1938. He also played Oscar Wilde on Broadway around this time, a role he would eventually bring to film in 1960. Back in his native England he continued to perfect those offbeat characterizations, especially in parts where he would play older than his actual age-- as Wendy Hiller's father, for example, in MAJOR BARBARA. In addition to stage and screen acting, Morley was an accomplished playwright. He wrote and performed Edward, My Son which MGM turned into a film starring Spencer Tracy. Critics complained that Tracy got it all wrong and compared him unfavorably to Morley. In later years, Robert Morley was a busy character actor. Perhaps he still seemed a bit strange to audiences but he continued to remain just as lovable to them. Robert Morley present and accounted for...!